Great card! I love that you made the horseshoe gold! Loving the touch of gold. It really make the cover pop. Fabulous! great work! love how you changed up the the letter U ! What a neat idea using horse shoe. Never would have thought about embossing the horseshoe...it looks great! 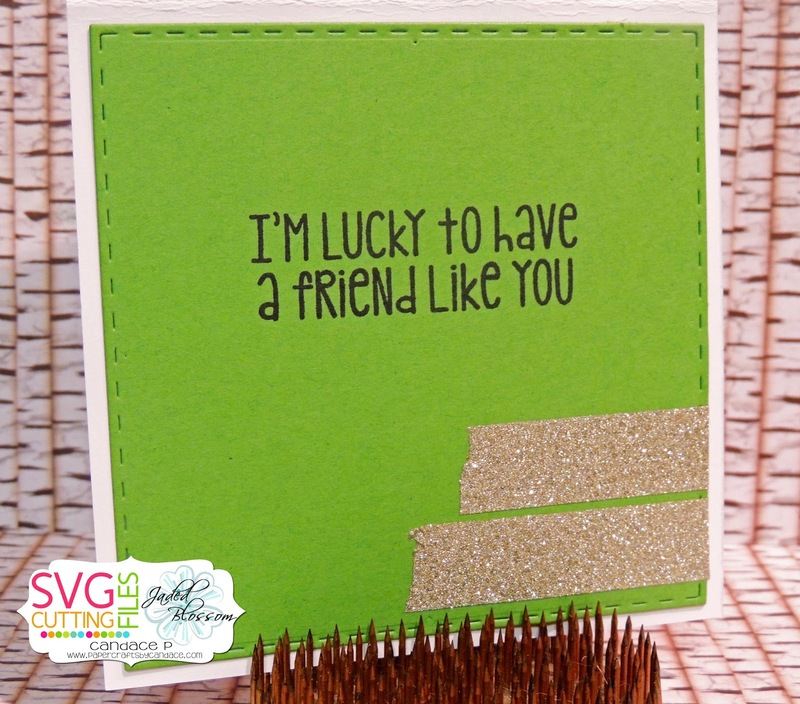 The embossing powder really adds to the project! Adorable card. 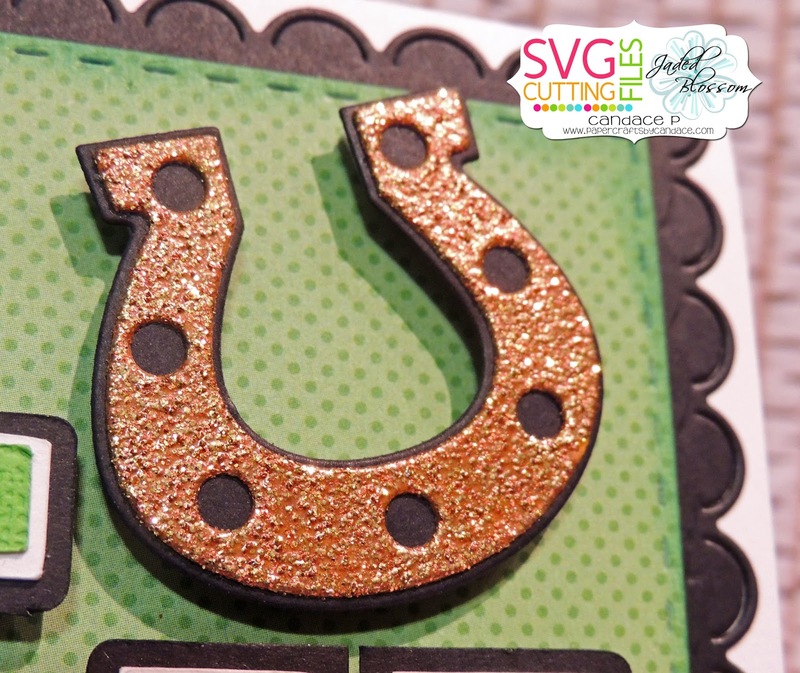 Love the gold embossing powder on the horseshoe. Adds a nice bit of bling. Whoever gets this card I LUCKy to have a friend like you. I love how you changed it up and embossed. Thanks for sharing. Fabulous card!! Love the touch of gold! Great Card! Love It! Thanks for putting this hop together! Simple but adorable. Especially love the horseshoe! So pretty! Love the gold embossed horseshoe. The glittery horseshoe is the perfect touch! Great card. Super cute card! I am amazed at all the talent this group has! You are AWESOME! cute card! Thanks for the good ideas. Oh wow, I love your card! The embossing looks amaZing! super cute card ! love the layers !! 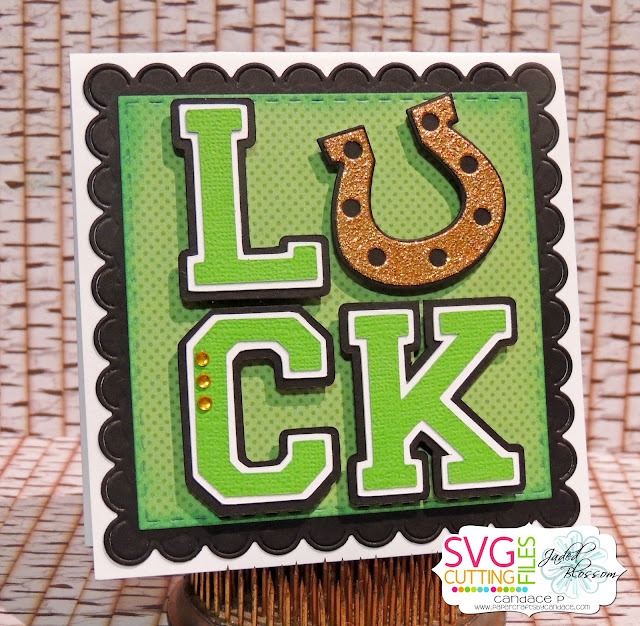 Super cute card and the horseshoe is darling. Great job! Adorable! This file is awesome! Great idea to use the horseshoe for the U. Great card - like that gold embossing on the horseshoe. Great project. I really like the gold embossing on the U! Great card .. love the embossing. Your addition of the horseshoe is on point! Great job! Love the card! The gold embossing is perfect!